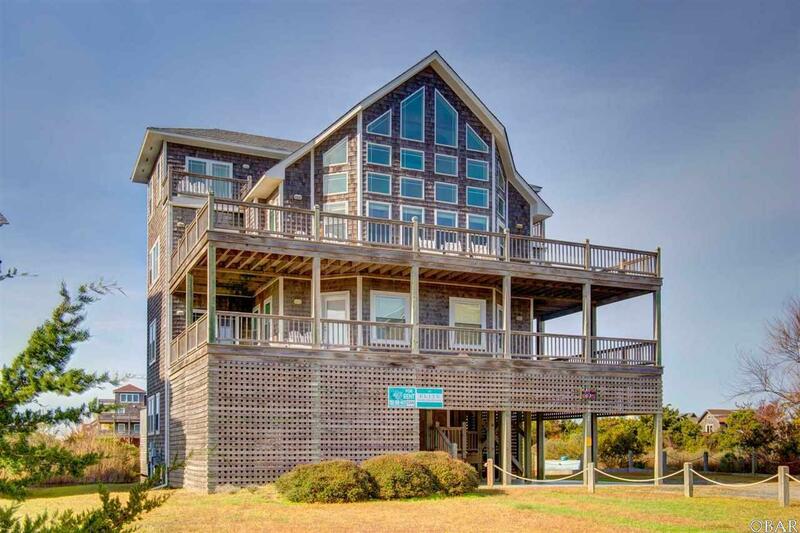 Beautiful 7-bedroom, 7.5-bathroom home comfortably situated in a quiet cul-de-sac in Waves. 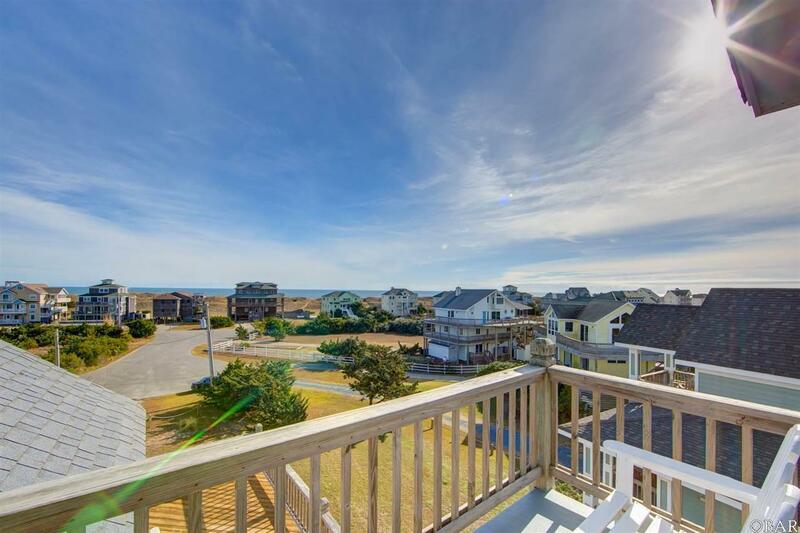 With pristine ocean to sound views framed by floor-to-ceiling windows, a spacious and open reverse floor plan, beamed cathedral ceilings, and countless amenities, this property is an excellent investment opportunity. This semi-oceanfront home located on a cul-de-sac has beautiful ocean views and a convenient beach access located directly across the street. Watch stunning sound side sunsets from the dining room too! The third-floor great room includes the living room, dining room with seating for twelve, a freestanding bar, and a well-equipped kitchen with 2 dishwashers, 2 microwaves, 2 sinks, professional ice maker, professional grade 6 burner gas stove with griddle and counter-height bar seating. 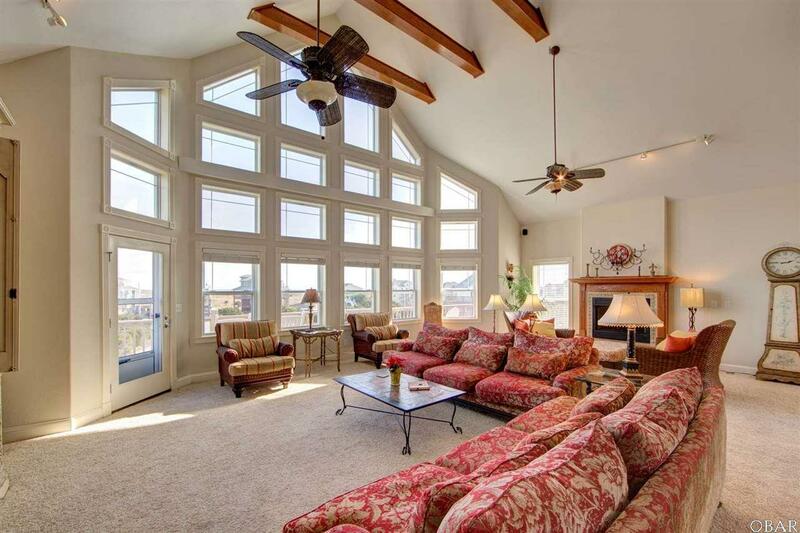 The spacious great room features a gas fireplace with sitting area and panoramic ocean side views. 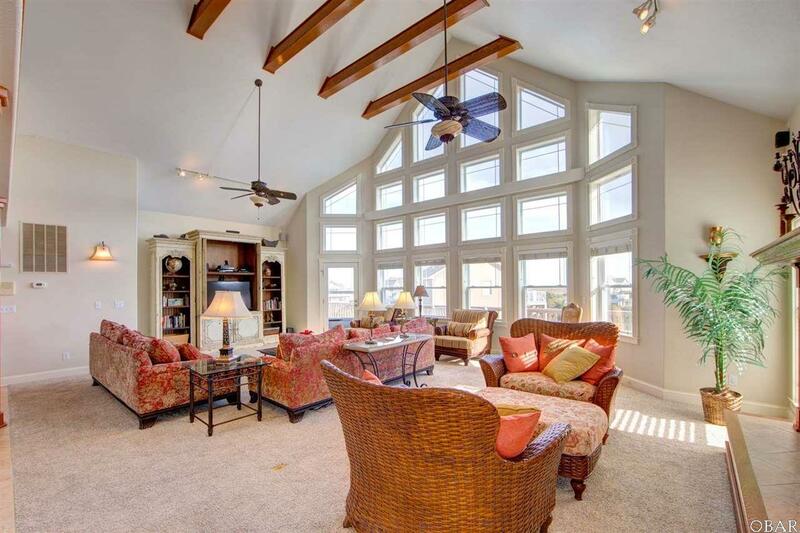 The large bay windows allow ample natural light to fill the room. A furnished sun deck can be accessed via this level. Two King suites with individual balconies with sliding loveseats are on the fourth floor. Four queen suites on the second floor each have access to the 2nd floor deck. The first floor bedroom has a Twin over Full bunk bed and trundle and bathroom. The first floor also has a family game room with ping pong table, and a full kitchenette with a full-sized refrigerator, microwave and ice maker. Exterior features include drive under parking, dry entry, foot shower, and a raised covered deck for storage plus 2 enclosed outdoor showers. The in-deck heated private pool offers plenty of space for gatherings, a large hot tub, outdoor lounge chairs, and a custom-built pergola with covered dining table and a third outdoor shower. With local restaurants and shops just a short drive away, you will never miss a beat. Please note: Owners limit rental calendar.